Last night was a Tuesday night like any other for me. I came home from teaching, ate a late dinner, then settled in to watch my one and only guilty television pleasure, Bering Sea Schadenfreude Gold. 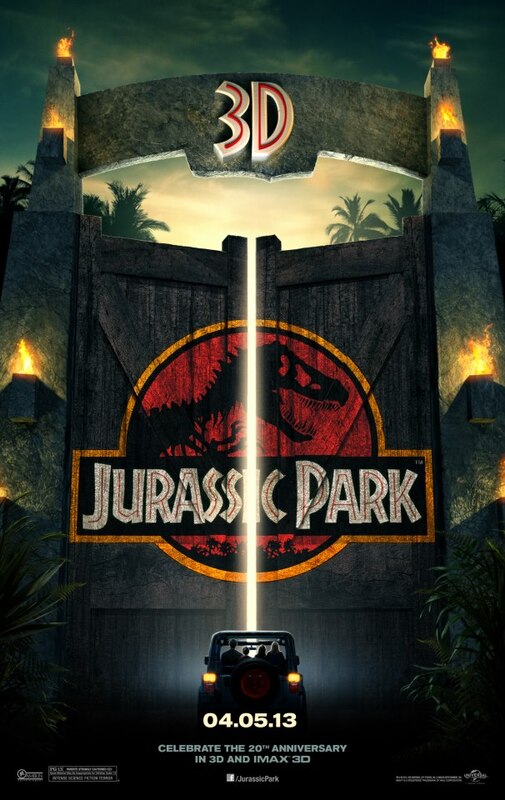 In between bouts of the Discovery Channel’s editors pelting me with ersatz drama, the likes of which would make Mark Burnett blush, there came a commercial for the 3D re-release of Jurassic Park. Given my childish love of humming the Jurassic Park theme song a la Peter Griffin, my girlfriend was surprised when I didn’t overlay my own rendition on top of the trailer. I can understand a general desire for high resolution face lifts within a movie. 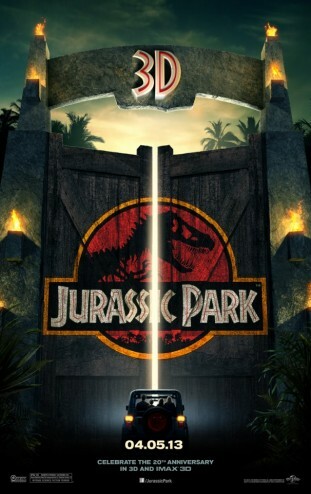 Digital trickery has come a long way in the twenty years since Jurassic Park’s release. But what is the point of the 3D add-on? 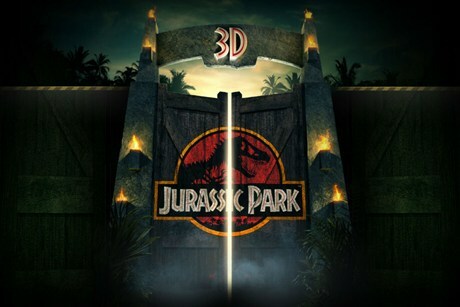 What can the 3D illusion accomplish in a movie like Jurassic Park that can’t be done with conventional 2D cameras and an understanding of perspective? I would put it to you that JP’s soon to be 3D re-release, like so many other contemporary movies burdened by 3D, nothing but a pretense to see a greater ROI by artificially inflating the price of a product. But Adam, you always have a hate-on for 3D. Is there a point to this post beyond trolling people who are getting excited about re-watching something seminal to their childhood? Good question, other Adam. As I stewed over Hollywood bilking rubes with their phoney extra dimension, I searched for a movie where a HD-3D facelift would actually work to accentuate the experience. One option came to mind. 1984’s The Last Starfigther is not a particularly strong movie. In fact, after taking a critical eye to Starfighter, it’s hard to see anything but a low-rent version of Star Wars: A New Hope. Allow me to annotate some points of intersection between the two. – “Teenage” male protagonists who long to escape from their lives in the boonies. A New Hope does all of these things better than Starfighter, with one possible exception: space battles. Everything that happens in Starfighter is about getting Alex Rogan (Lance Guest) into his Gunstar so he can blow up the Ko-Dan Armada. Everything before this point is just foreplay. To that end, I submit that where Lucas was attempting to craft a narrative in A New Hope, Starfighter was first and foremost about showing off the computer graphics which power the third act. Therein, a digital face lift on the computer graphics, which can’t even keep aesthetic pace with the physical sets, is a no brainer. Despite Starfighter’s extensive use of computer generated effects, the technology was not at a point where they could be heavily integrated with the actors and sets. 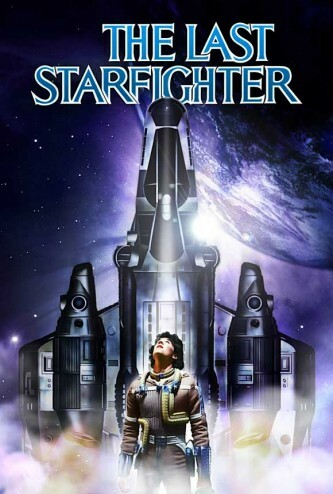 There are some backdrops, and a few laser effects from space guns, but otherwise there are two distinct cinematic approaches to Starfighter: the physical and the post-production. This means a team of artists and editors could cut out the original CG effects with surgical precision, replacing the clunky CG with a brand new VFX reel. This is where a useful application of 3D comes in. For want of easy sight lines and flat planes to give the illusion of depth in deep space, 3D technology could be used to convey a meaningful illusion of a Gunstar moving along all three axis. Instead of fighting the Ko-Dan on a mostly two dimensional plane, as seen in the clip below, Starfighter presents an opportunity for modern VFX artists to show an artistic rendition of a space battle freed from the confines of atmosphere based flight models. On that note, Death Blossom, despite its goofy name, could be more than just Alex’s Gunstar spinning like a top. Of course, there’s nothing in these changes that will fix Starfighter’s utterly awful B-plot featuring Alex’s cyborg doppelganger. But if the point of the movie is to dazzle the audience’s eyes while appealing to the rather innocent belief that playing a game can make a person special, why not give Starfighter a facelift? The digital effects pioneers who worked on this film must have had a vision beyond the capabilities of early eighties hardware. Perhaps a return to concept art may result in a Starfighter where modern special effects and 3D not only seamlessly blend with the physical set pieces, but they also elevate the movie beyond the limits of the original production.